Samsung Galaxy J3 Price, Review, Deals, Cost, & Sales! Home / Compare Cell Phones / Samsung Galaxy J3 Price, Review, Deals, Cost, & Sales! When the Samsung Galaxy J3 was released in 2016, it was positioned as a value-driven phone with decent features and comes with the standard specs for its category. It has a 5" Super AMOLED with 16M colors and has 720x1280 pixels. The display screen is an Asahi Dragontrail Glass. 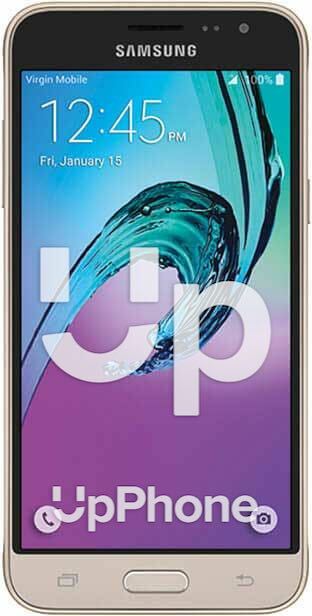 Its predecessor, the Galaxy J2, has a 4.7" Super AMOLED 16M color capacitive touchscreen. Both of these phones have a great screen quality given that they are both Super AMOLED. The J3 is equipped with an 8 MP camera with a f/2.2 aperture (outside US) and 5 MP f/2.2 (US). It can capture videos of up to [email protected] For the selfie camera, it has the 5 MP f/2.2 (outside US) and a smallish 2 MP (US). The J2, on the other hand, has the 5 MP camera and a 2 MP selfie camera. For the storage, the J3 comes in 8 and 16 GB variants and supports up to 256 GB external memory via a microSD card. While the J3 has the 8 GB variant and supports up to 256 GB via microSD. This device has a single back-firing mono speaker which is unimpressive but is understandable knowing that it is a value phone. It has the same speaker as the J2. On the other hand, both phones have a slight bump on the speaker so as not to muffle the sounds while on its back. The J3 runs on the Spreadtrum SC9830 (outside US) and the Exynos 3475 Quad (US). The performance is rather mediocre as expected from a value phone but will do well for the light user. Its predecessor, the J2, runs on the Exynos 3475 Quad. Powering the device is a 2600 mAh battery which should last you 22:51 hours of talk time over 3G, 7:42 hours web browsing and 10:17 hours video playback. The J2 has the smaller 2000 mAh. It has Super AMOLED screen technology which is known for deeper and crisper colors. It supports up to 256 GB external memory via microSD. At 138 grams, this device is light in a world of ever-growing phone sizes and weights. It has a removable battery which should compensate for its size. It supports data transfer via USB so you need not install any proprietary software. It has a radio which is no longer available to higher-end phones.